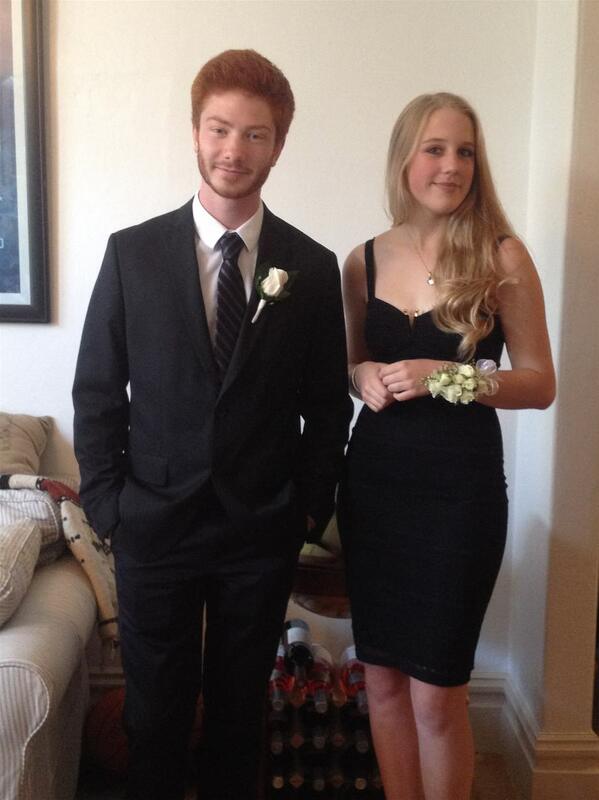 Gabriella’s Prom date looks spookily like Ed Sheeran. 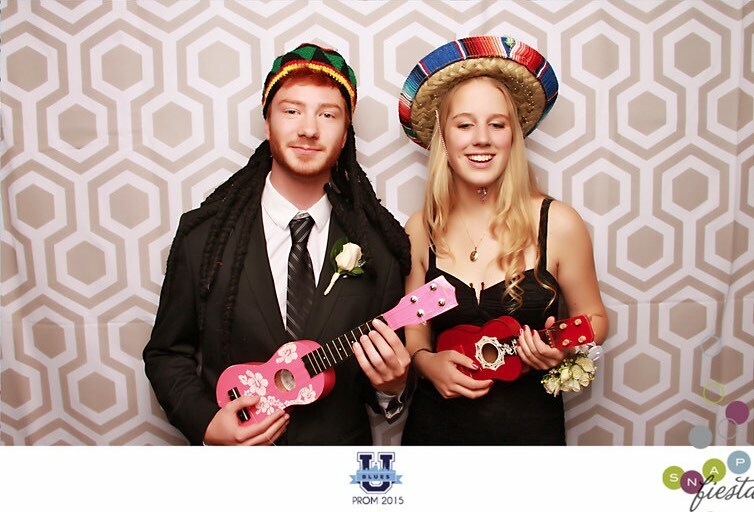 This was taken in the Photobooth at the Prom. Prom is such an American experience. I wish it had existed in Britain when I was a kid. Here, Prom is usually for Seniors (Upper 6th) only, or, if you’re really lucky, Seniors and Juniors (the whole 6th form). The only way Freshmen and Sophomores (4th and 5th formers) can get in is if they’re invited by an older student. Urban – Gabriella’s school – doesn’t believe in any form of exclusivity, so Prom is open to all its students. 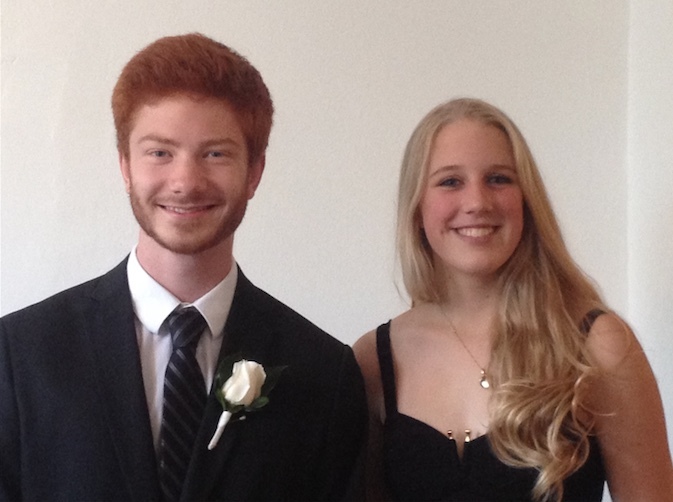 Alongside the anxiety, there’s the spectacle of the Promposals, which can be inventive. This year, I heard of Promposals written on swimming caps and jars of pasta. Another was a photo of five enormous P-R-O-M-? characters on a hillside, which was then posted on the invitee’s Facebook wall. Yet another was those same five characters drawn onto five students’ backs, who then took off their T-shirts in front of their intended audience. Once the Prom players are in their pairs and groups, the pre- and post-Prom planning begins. Proms are dry, because the drinking age here is 21. Urban takes its duty of protection very seriously, and breathalyses every single student who enters. All bags are checked, so there’s no access to alcohol during the Prom. And there’s no re-entry; if you don’t walk into Prom between 7.30 and 8.15, you’ve missed your window. So all the pre-Prom parties – the opportunities for taking photos and breaking the ice – are dry too. The same can definitely not be said of the post-Prom parties. The law here says that if an underage drinker has a problem, the adults hosting the party (whether they know about the party or not) are liable. That being the case, I don’t understand why anyone would allow an after-Prom party to take place at their house. But they do. And the experience is expensive. There’s the cost of the ticket, the new dress, shoes, the corsage for your date ($30 for a single rose with a silk ribbon wrapped around it), and the visit to the beauty salon for hair and make-up ($100 – luckily Gabriella was sensible enough to want to do that for herself). But what fun it is! It’s more than just the evening itself; it’s weeks and weeks of planning and anticipation. I feel a little deflated now that this year’s Prom is over, and I didn’t even go.